Ameera Begum Sindhi Sehra Artist. She is most popular Sindhi Lok Geet Lada, Sehra Music Artist, she sung Sehra for Marriage occasions in Sindhi Language. She create great name in Sindhi Music, she is very popular Sehra Singer of Sindh after Jee Jee Zarina Baloch. 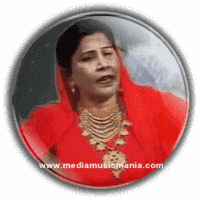 She is very popular Sindhi Sehra Artist and specially in Sindhi Music, she had sung Sindhi Lok Geet, Sindhi Sehra on the occasions of marriage ceremonies and other happiness occasions in Sindh. Due to her great struggle in Sindhi Sehra she earned good name in Sindhi local TV Channels, she sung in Sindhi Dramas as lok Geet and Sehra. She sung in open air Mehfils, and rural areas marriage ceremonies, her communication with Classical Music. I have selected below her most popular Sindhi Sehra Music of Ameera Begum. Ameera Begum introduced herself village to city and she is very popular on Radio and TV. Peoples of Pakistan who are settled in foreign countries they like such memorable Sindhi Sehra, Sindhi Cultural Lok Geet. She has sung great songs and laos sung in the style of Mai Bhagi, Mai Noor Bano and other Sindhi Singers.